Flygard Insect Repellent Spray is an effective, gentle and long-lasting insect repellent for horses that will repel midges and flying insects. A water-based formula containing citronella oils for long lasting and instant protection, Flygard also contains added coat conditioners to help promote a healthy and shiny coat. 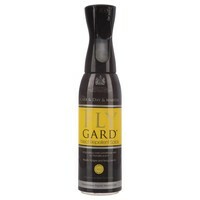 Flygard Insect Repellent Spray is recommended for horses that suffer from sweet itch or are irritated by flies. Shake well and for best results spray directly onto the horse from a distance of approximately 25cm. For sensitive areas, apply with a cloth or sponge. Apply twice daily for maximum protection. If using for the first time, test on a small area of skin 24 hours before general use to establish suitability.